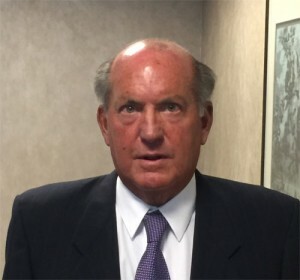 Mr. Randall recently retired but remains available as a consultant to the firm. Robert K. Randall graduated from the University of Minnesota in 1969 with a B.A. degree and from the University of Wisconsin-River Falls, M.A.T. in 1973. In 1976, he graduated from William Mitchell College of Law with a J.D. degree. Mr. Randall is a member of the Minnesota Trial Lawyers Association, where he has served on the Board of Governors, and the American Trial Lawyers Association. Mr. Randall has practiced in the areas of medical malpractice, personal injury, automobile injury, professional malpractice, wrongful death, product liability, and mediation. In 1999, Mr. Randall was named as an Attorney of the Year by Minnesota Lawyer. He also has been recognized as a Super Lawyer (top 6% of the attorneys in Minnesota) in 2002 and 2003. Mr. Randall has won numerous large figure verdicts and settlements and practices before all State Courts, Federal District Court of Minnesota and the Eighth Circuit Court of Appeals. He is a frequent lecturer and author on many of his areas of practice.